Vitamin B3, also known as pantothenic acid, niacin or vitamin PP participates in the metabolism of protein, fat, carbohydrate, mineral, normalizing adrenal function. It mitigates the risk of cardiovascular disorders, lowering harmful cholesterol (LDL), increasing the level of beneficial (HDL) and lowering blood triglyceride levels. Also moderates blood pressure, improves blood circulation – participate in the metabolism of proteins, carbohydrates and lipids, protects against atherosclerosis, migraine, dizziness, prevents diarrhea. Niacin is essential to normal the function of digestive system, nervous system, maintaining the integrity of skin and mucous membranes, and normalize the synthesis of hormones (testosterone, estrogen, insulin). Relieves colitis and combat halitosis (mouth odor). Vitamin B3 is stable to light, heat and oxidation resistance. The recommended daily dose is 20 mg of niacin. Deficiency in vitamin PP, described under the term pellagra, results either from inadequate intakes or drug interactions (some TB and Parkinson). Pantothenic acid failure causes disturbances to the nervous system and skin. 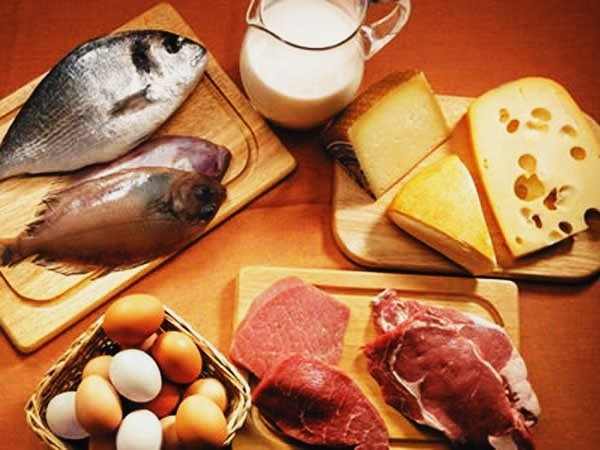 The main food sources rich in niacin are: bran cereals, liver, meat, fish, carrots, cauliflower, tomatoes, bread, dates, figs, peanuts, peaches, avocados, almonds, walnuts, fresh mushrooms, eggs, whole wheat, cheese, fennel seed, alfalfa, parsley, chamomile, broccoli, tomatoes, peppermint, brewers yeast, milk and potatoes. Synonyms: pantothenic acid, niacin, vitamin PP. Pellagra (vitamin B deficiency), headaches, depression, dizziness, low blood sugar, skin problems, lethargy, diarrhea and halitosis. Dizziness, fainting, diarrhea, vomiting, nausea, flushed skin. Consult your nutritionally oriented doctor before supplementing with niacin if you have, liver disease, gout, peptic ulcers, diabetes, glaucoma, are over sixty years of age or have had a recent heart attack. Niacin is not recommended if you are pregnant or are breast-feeding. Children should be supplemented under medical supervision. Prolonged use should be supervised by a nutritionally oriented doctor to avoid side effects. A mild red skin rash or flushing may occur when supplementing with niacin.